Do you still have some questions about your bicycle? Why do gears work? Or which brake system is right for you? Perhaps you’ve taken our Build-A-Bike course but could still use some more guided practice time? 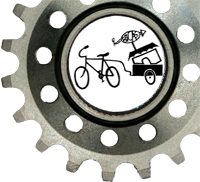 Join BICAS for one of our bicycle repair clinics, a 3 hour class in a special topic for demos and hands-on practice. Brake Clinic – skills practice on rim and disc brakes.